As you can see at the end of How to debug an Cassini hosted website and the UnitTest that uses WatiN to automate that hosted website, although I was now able to start cassini in the current NUnit process, I was still not able to have direct/native access to the running objects of that website. 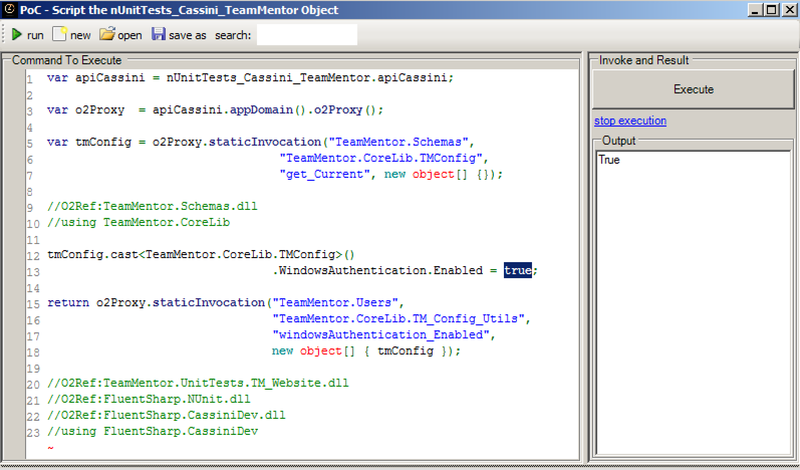 Basically what I wanted was to be able to access programatically the live TeamMentor (TM) objects from an NUnit test (note that both are running on separate AppDomains). Not only this would make some of the tests I want to write possible, it would allow me to much faster setup specific test environments (for example cases when I need a number of users to already exist in TM). 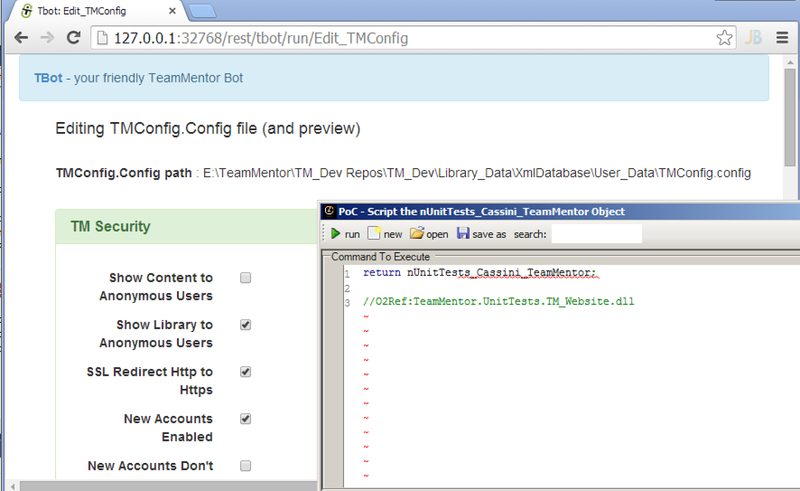 In practice what I wanted to do is to be able to access and edit one of TM objects (for example TeamMentor.Schemas.TM_Config from the NUnit test). I'm pretty excited with this new capability! There are tons of UnitTests that I will finally be able to write for TeamMentor, and the best part, is that they will run very quickly (since these tests will mostly be doing in-memory manipulations with a little sprinkle of Web Automation (using FluentSharp.Watin)). 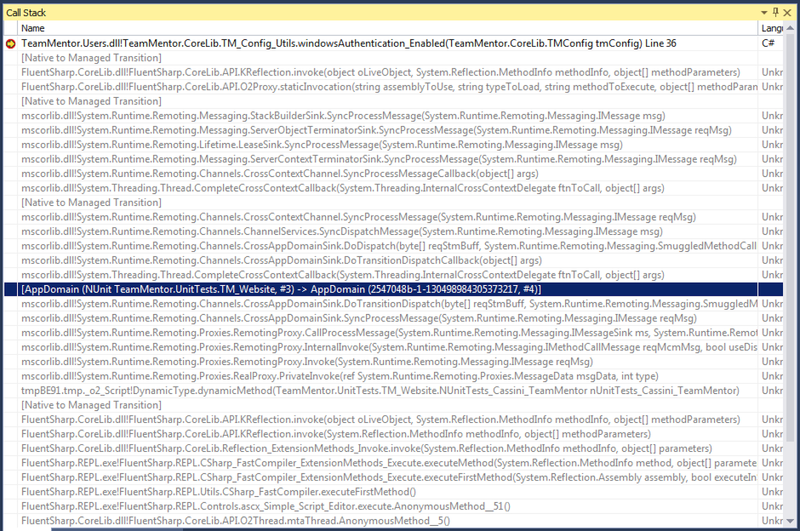 This also opens up a lot of interesting possibilities for writing security-focused UnitTests that will run directly on the target ASP.NET or ASP.NET MVC websites.